Our main reason for going to Cambridge for the weekend was a visit to the Scott Polar Research Institute. My husband has long been fascinated by Captain Scott and I’m sure he’s becoming something of an expert on the subject of the ‘Heroic Age of Antarctic Exploration’, around the start of the 20th Century. So it felt like a fitting birthday gift to go with him to see a special exhibition to commemorate the centenary of Scott’s death and see the the original documents, letters and artefacts from that final (and sadly fatal) expedition. 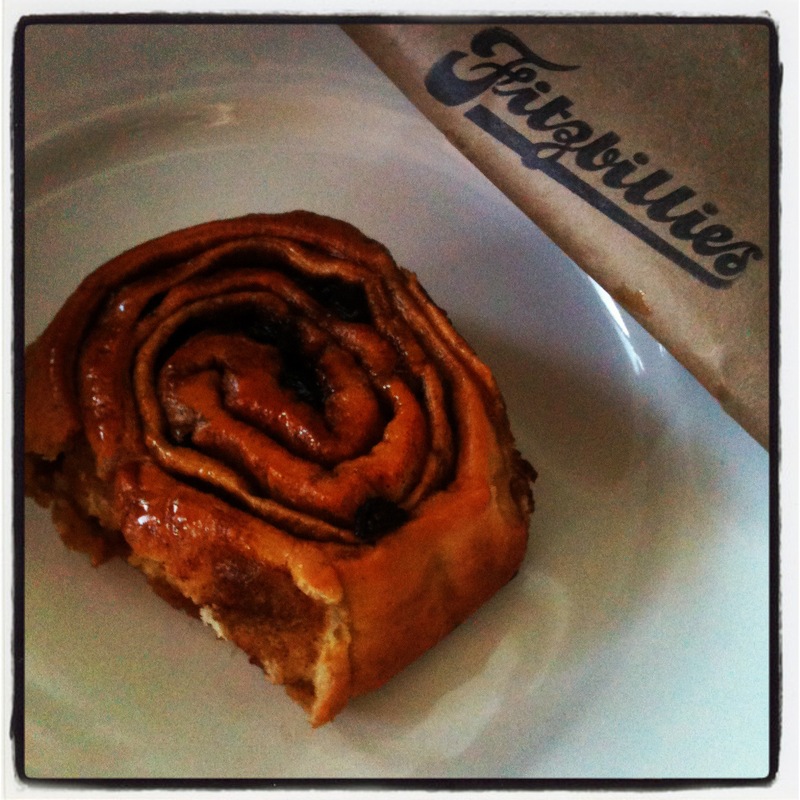 Not the cheeriest of birthday treats, perhaps, but one that I knew he’d really appreciate. I’ve been resisting learning about Scott for a long while, as I’m sometimes a bit feeble and knowing the unhappy ending thought it wouldn’t really be for me. However, since watching A Great White Silence earlier this year, I’ve found myself being drawn to the story, despite myself! 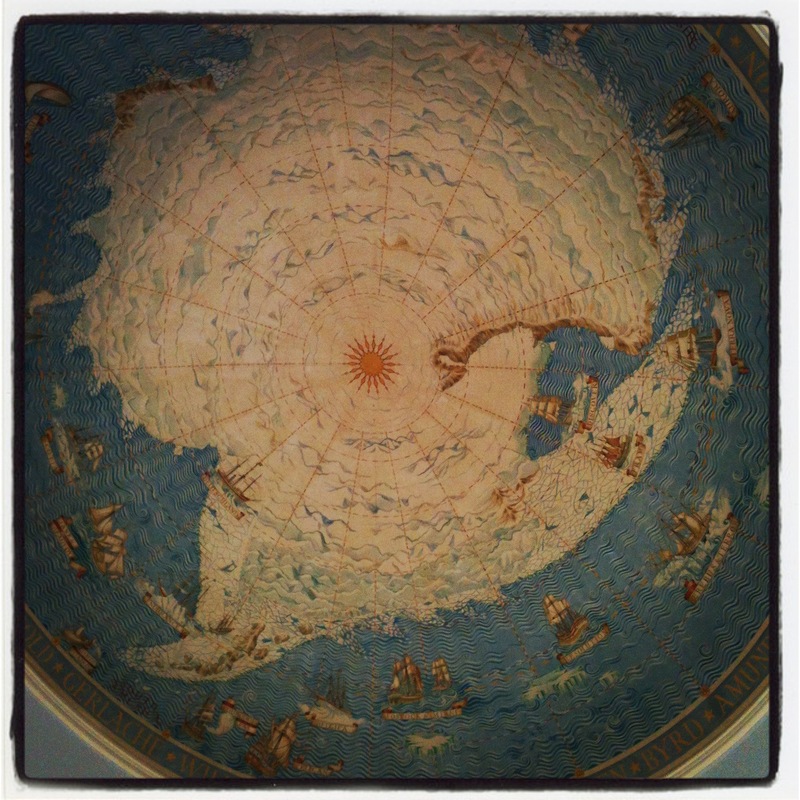 The entrance to the Polar Institute has two beautiful illustrations in the domed roof, of the Arctic and Antarctic regions of the world. Although it’s not a huge place, it’s filled with extraordinary items. The exhibition we were there to see has now closed, but I imagine that it will reappear again one day, given how popular it was on the day we were there. It took me precisely one cabinet of letters for me to well up with tears. The notes written by Lawrence Oates about the ponies they took with them were truly poignant as it showed that they were in no fit state to begin the journey, even though they would be killed and eaten, as planned, towards the end. As someone with a fascination about the relationship between people and horses (it was the subject of my equine science degree thesis), this one little pencil written note was the first of many that had me in tears. Further into the exhibition were decorations for Christmas celebrations, notes from various excursions within the main expedition, pencil drawn illustrations, Herbert Ponting’s photographs, notes for books, and many, many letters home. The reindeer skin sleeping bag from which Oates climbed to leave the tent and walk fatally into the snow (with the words ‘I am just going outside and may be some time’) was there, which drew quite a lot more of my tears. As did the final letters written by Scott, Wilson and Bowers when they knew they would die and Scott’s diary, opened at the final, barely legible entry before his death. Despite the tears, I’m so glad I was able to see this exhibition. It’s made me want to learn more about this period of great exploration and given me a new level of admiration for these remarkable men. The following day we went to the Fitzwilliam museum, which is far larger and more impressive than I’d imagined. With an imposing entrance hall, an eclectic collection of exhibits ranging from Egyptian mummies to German porcelain and classical music performances on a lunchtime, this is a really special museum and I’d like to revisit to see more of it. As we are planning to join the Friends group of the Polar Research Institute, we will be back in Cambridge again. After all, because of all the rain, we didn’t get the chance to go punting on the Cam, which I’d still love to do! I loved this city. The combination of stunning University buildings, great food, cultural highlights and cyclist friendly streets made for a great weekend break. I’d recommend it.